We are back from the tundra! 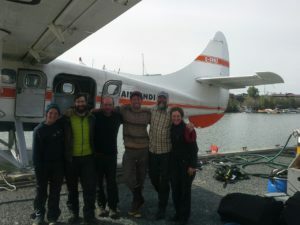 After 36 consecutive days in the field, we returned to Yellowknife on Monday, August 20, stepping off the plane somewhat hairier (quick, admire the guys’ neck beards before they’re gone!) and substantially grimier than when we left. 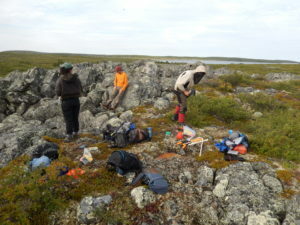 But, all of us satisfied at having completed a safe and successful field season: We visited ten (10) “greening” and ten “no change” sites, gathering a plethora of shrub and ground vegetation and caribou use data at each site. Traveling approximately 80 km by PakCanoe from Jolly Lake to MacKay Lake, we also collected tree ring samples from nearly 100 (predominantly) Black Spruce, Picea mariana. Along the way, we also gathered data on seedling establishment and collected cones for collaborative research projects that members of our team are involved in. 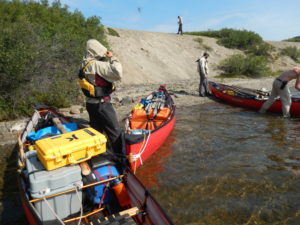 PakCanoes full of science equipment and camp gear. Unloading equipment at a sampling site. Upon our return, we were welcomed by Ecology North to share our research with the public on August 21st at their Science for the People seminar series. 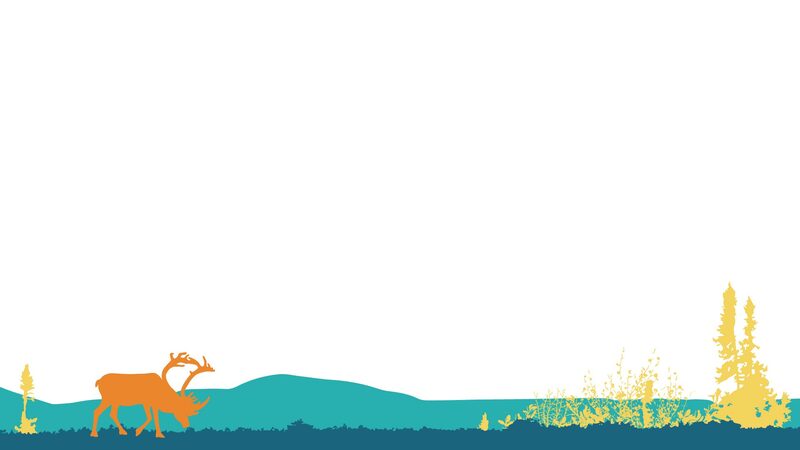 We will post that presentation shortly, to give you an idea of how we spent our summer vacation… stay tuned!